Panini Voetbal 89 is the 12th consecutive album dedicated by Panini to the Dutch League since the first edition in 1978. The collection includes both the Eredivisie and the Eerste Divisie (First Division). The album opens with the celebration of the Dutch National team, as "all Europe was colored with Oranje" after the victory of the European Championship 1988. This one page section includes 8 stickers of four action images. Then the Eredivisie teams are presented. Each team is displaced on two pages with a total of 16 stickers: the team photo (2 stickers) and 14 players. PSV won the league (53 points) in front of Ajax (50 points) and the duo Twente and Feyenoord (both 40 points). First division teams have only two stickers each composing the team photo. This section includes thus 38 stickers of the 19 teams displaced over five pages. The celebration of the National Team continues with three pages about the European Champions. On the first page there are 10 stickers: the trophy (Henry Delaunay Cup), the coach (signed sticker) and a big photo of the team (8 shining stickers). 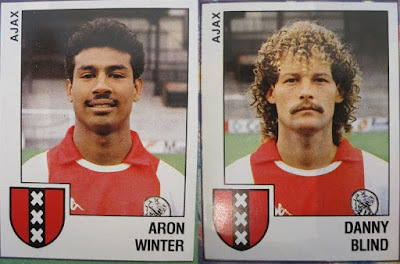 In the other two pages there are 16 shining and signed stickers of the Dutch heroes. 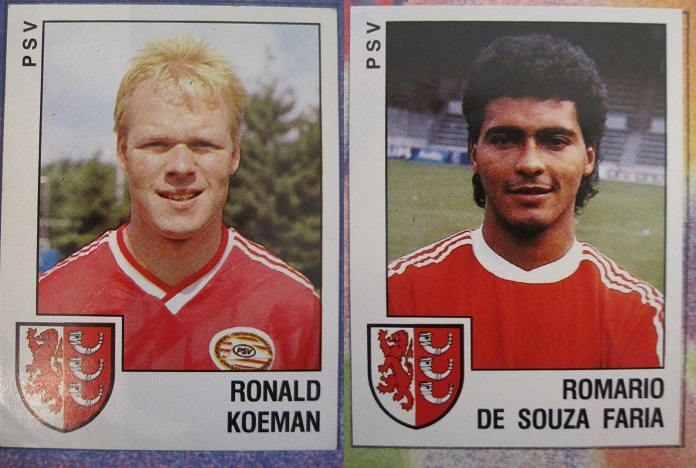 The last section of the album is about Dutch players playing abroad: 24 stickers on three pages with players like Van Basten, Gullit and Rijkaard (Milan), Erwin Koeman and Bosman (Mechelen). PSV stars Ronald Koeman and Romario!